Good food is a must to fuel ourselves with energy. Playing with little kids bursting with energy is no small feat! 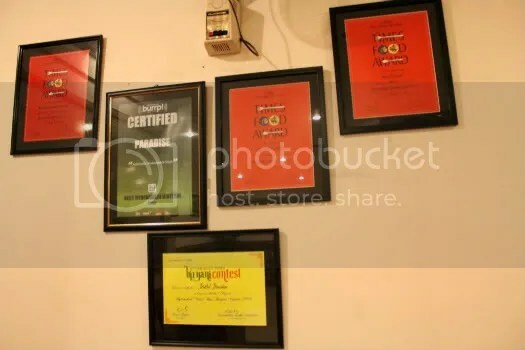 The first place I would highly recommend for both authentic Hyderabadi cuisine and affordable prices would be Hotel Paradise. Biryani is of course, a must-eat in Hyderabad and Hotel Paradise is famous for that. Just look at the number of accolades they have! 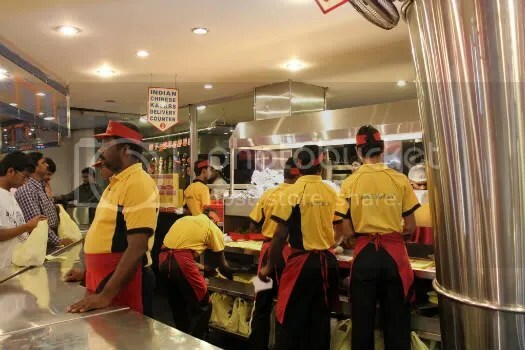 The best part is they sell Biryani at all sorts of prices, so you will definitely find something that is wallet friendly to you. Upstairs, you will find three types of restaurants- the Garden section, the Gold section and the Platinum section ( correct me if I am wrong because we only dined in the Gold section). I would highly recommend the Gold section because you get to sit in a posh air-conditioned environment with excellent service at affordable prices! For both our dinner trips we spent only 8 Singapore Dollars max. 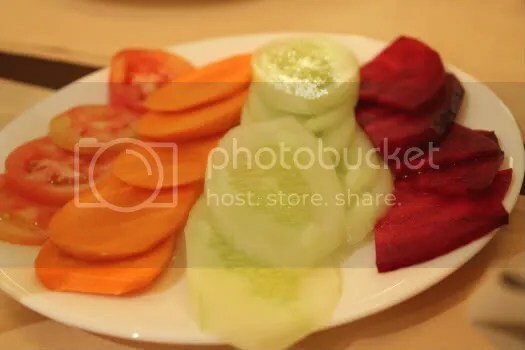 Complimentary starters are always a plate of raw vegetables. 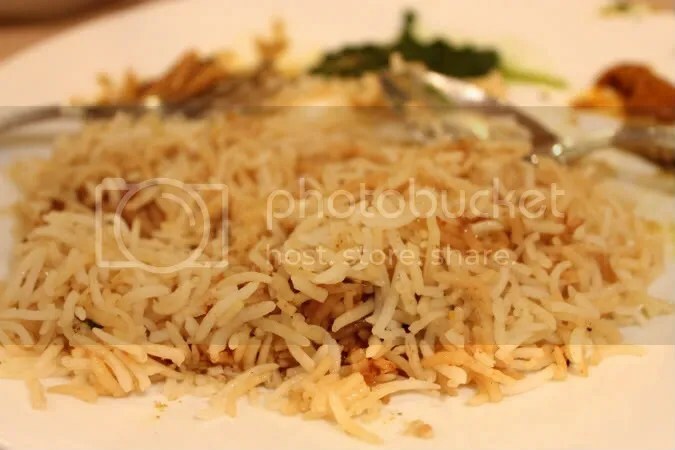 The menu said that a good Biryani is one that when thrown onto the ground would seperate into its individual grains instead of clumping together like normal rice. I did not have the audacity to do that of course, but each long grain of basmati rice was clearly well oiled and seperated from each other. 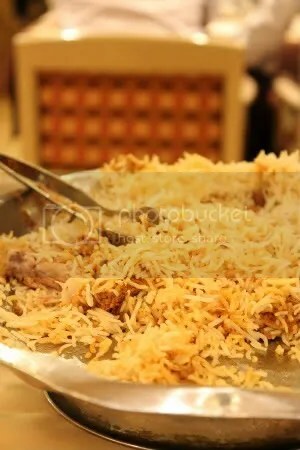 Both the house specialties of chicken biryani are equally delicious. They cook all the meat together with the rice allowing it to infuse all its flavour into the rice. It’s one complex and flavourful dish, boasting a large mixture of spices that will definitely tingle your tastebuds. But the best bit would have to be the rice. It’s light, not starchy like thai rice, making it easy to eat and extremely addictive. For those who hate things spicy, I’m sad to say that almost everything is spicy in India so some heat is inevitable! But no fear, just drench it with some of the Raita (Indian yogurt) or eat it with lassi- It helps to soothe the spiciness. For those with the sweet tooth order the Pineapple Raita, it’s cooling to the throat and the lovely chunks of pineapple add a sweet dimension to it. Portions are hearty so don’t say I didn’t warn you! Look at your neighbouring table for an idea of the sheer size of the plate before you actually place your order. Do order their naans as well and get some of curries (Tikka Masala, Spinach Paneer etc) to dip them in. 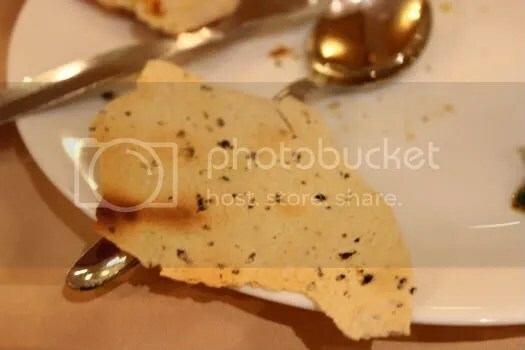 Papadam here is nicely done without being too salty. Excellent finger food. 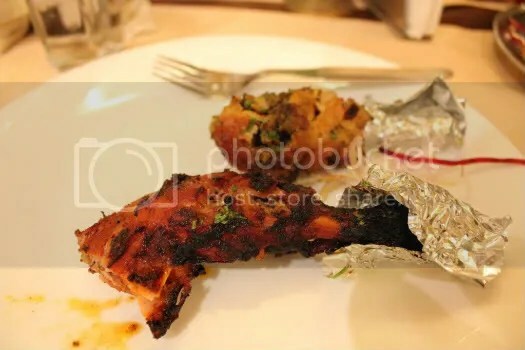 The tandoori chicken in Singapore is always too dry. I still find it a little too dry to my liking but I think the tandoori done in Paradise is as moist as it can get! The outer layer of spicy marinade was far too spicy for me but dad loved every bit of it. The drumlet on the background was seriously good! Moist, tender and extremely flavourful meat marinated with some spices ( though it is not too spicy) it was D.E.L.I.C.I.O.U.S. Unfortunately, I did not note down the name. 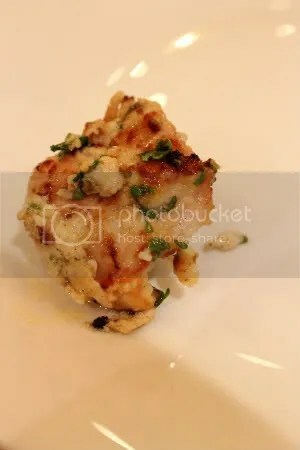 However, it was featured in the photos on the menu so I’m sure you’ll be able to find it. It’s a MUST-TRY! Though the garlic chicken kebab came highly recommended I expected more of a spicy garlic kick and the insides were a tad dry. Indian Desserts are known to be extremely sweet so we decided to go for the safer choices. 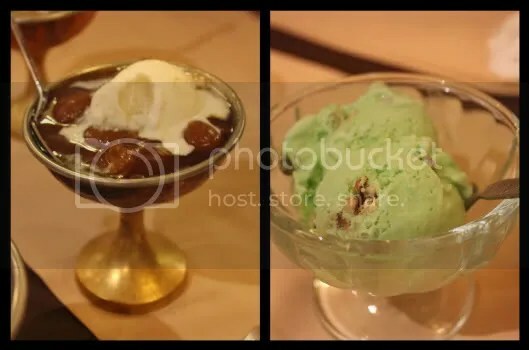 Vanilla icecream with stewed apricots were the furthest we would go in terms of trying Indian sweets! Our waiter told us this is a traditional dessert and I must say it tasted good. It did however get cloying afterawhile because of the syrup. My pista ice cream (pistachio) was alright but I know I can definitely get better ice cream in Singapore. So this rounds up the post on my favourite eating place in Hyderabad. That said, I’m glad to be back in Singapore with food from all around the world available here!